Once you have come to terms with the cancer diagnosis and how those changes will impact your life and the life of your loved one, your thoughts will no doubt go to how you can help. Studies have shown that the more social interaction a person with cancer has, the better the outcome of treatment, so you can play a large role in helping your loved one come through his or her treatment.1Moreno-Gaviño L, Bernabeu-Wittel M, Mendoza-Giraldo D, Sanz-Baena S, Galindo-Ocaña FJ; on behalf of PALIAR Project Investigators. Caregivers' features and social support in patients with advanced medical diseases. Eur J Intern Med. 2013 Feb 2. pii: S0953-6205(13)00017-4. doi: 10.1016/j.ejim.2013.01.012. A cancer diagnosis is just the beginning of a battle for life, making it difficult to focus on what needs to be done. Therefore, your loved one may not understand that he or she needs assistance. Your willingness to lend a hand may not meet with the reaction you hope for, so having a plan to help will ease the process of finding ways in which you can help. Regardless of how your loved one reacts, keep talking. Remember, the more you talk together, the closer you will become. How long will in-home recovery be? What post-surgery limitations will we need to make adjustments for? Is chemotherapy or radiation therapy involved? If so, how many treatments? No doubt there will be another caregiver taking primary responsibility for care, but by getting the answers to these questions, you will be better prepared to work with the primary caregiver on a plan for how you can help. As treatment moves forward, remember to keep asking questions. There is no such thing as a dumb question, especially when cancer is involved, and getting the answers will help you be less confused and afraid. You do not have to be a nurse, family member or caregiver to help. Lifestyle changes are often the most disruptive, and there are many with which you can help, depending on your capabilities. Perhaps you can watch younger children in the family during surgery or when doctor visits are needed. Maybe you could run to the store or pharmacy to pick up groceries or prescriptions when needed. Think of ways you can contribute and give your loved one with cancer one less thing to worry about. The majority of those being treated for head and neck cancer report feeling depressed and anxious for a time, which is only normal; life might not be the same again.2Williamson JS, Ingrams D, Jones H, Ann R. Quality of life after treatment of laryngeal carcinoma: a single centre cross-sectional study. Coll Surg Engl. 2011 Nov;93(8):591-5. doi: 10.1308/147870811X13137608455253. You can help, though, by thinking of little ways to remind your loved one that life has not stopped altogether. Working on a crossword puzzle, playing a board game or watching your favorite movie are ways to spend time together that would not bring to mind the physical changes that your loved one has undergone. Setting aside time to talk about your loved one’s favorite memories can bring to mind better times and will help you learn more about how life was before. Normalcy may be missing in the days and weeks after treatment. Eating, drinking and speaking are often impacted for your loved one. You can help make these adjustments less overwhelming by adding some fun into the mix. Think of unexpected ways to decorate assistive devices or your loved one’s room. A dry-erase board can be used to communicate, but it does not have to be dull; dry-erase boards come in a variety of colors and styles, as do the accompanying markers, and magnet boards add possibilities. Your loved one may have to adjust to a change in his or her physical appearance.3Vartanian JG, Carvalho AL, Yueh B, Priante AV, de Melo RL, Correia LM, Köhler HF, Toyota J, Kowalski IS, Kowalski LP. Long-term quality-of-life evaluation after head and neck cancer treatment in a developing country. 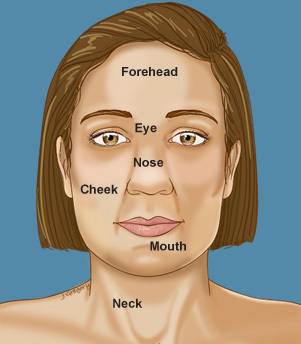 Arch Otolaryngol Head Neck Surg. 2004 Oct;130(10):1209-13. You can help him or her make that adjustment by talking about it and then focusing on areas where no change has occurred. For example, a manicure or pedicure can make anyone’s day and would give you both a chance to bond. Your loved one’s primary caregiver (the person who does most of the daily tasks associated with taking care of the person with cancer) is a very special person and should not be forgotten. Caregivers bear the majority of the day-to-day responsibility for care. The weight of that responsibility can be heavy at times, leaving the primary caregiver feeling overwhelmed or depressed.1Moreno-Gaviño L, Bernabeu-Wittel M, Mendoza-Giraldo D, Sanz-Baena S, Galindo-Ocaña FJ; on behalf of PALIAR Project Investigators. Caregivers' features and social support in patients with advanced medical diseases. Eur J Intern Med. 2013 Feb 2. pii: S0953-6205(13)00017-4. doi: 10.1016/j.ejim.2013.01.012. When working out ways you can help, remember the caregiver. Many times, caregivers have no one else to talk with outside the home. Set aside time to talk with him or her about how the day is going. A gesture as simple as a greeting card or flower will brighten what can be an otherwise exhausting day. Offer to take over care for an hour so he or she can rest or take a walk. Do you cook? Providing a meal for both your loved one and caregiver can mean more than you can imagine. The meal does not have to be fancy. Even a simple soup or snack can bring a smile. Remember that life for the caregiver has changed, perhaps even more than that of your loved one with cancer. The caregiver may have had to stop working, and time away is rare. Anything you can do to help will be most appreciated. 1 Moreno-Gaviño L, Bernabeu-Wittel M, Mendoza-Giraldo D, Sanz-Baena S, Galindo-Ocaña FJ; on behalf of PALIAR Project Investigators. Caregivers' features and social support in patients with advanced medical diseases. Eur J Intern Med. 2013 Feb 2. pii: S0953-6205(13)00017-4. doi: 10.1016/j.ejim.2013.01.012. 2 Williamson JS, Ingrams D, Jones H, Ann R. Quality of life after treatment of laryngeal carcinoma: a single centre cross-sectional study. Coll Surg Engl. 2011 Nov;93(8):591-5. doi: 10.1308/147870811X13137608455253. 3 Vartanian JG, Carvalho AL, Yueh B, Priante AV, de Melo RL, Correia LM, Köhler HF, Toyota J, Kowalski IS, Kowalski LP. Long-term quality-of-life evaluation after head and neck cancer treatment in a developing country. Arch Otolaryngol Head Neck Surg. 2004 Oct;130(10):1209-13.